I’m not a die-hard fan of the Las Vegas lifestyle, but it’s difficult not to find Vegas at least somewhat alluring – so I put together a list of random Las Vegas highlights, from restaurants to pool, to start the ideas flowing for your Las Vegas bucket list. Yes, I’m seriously singling out a shopping area as one of the top item on a Las Vegas bucket list! 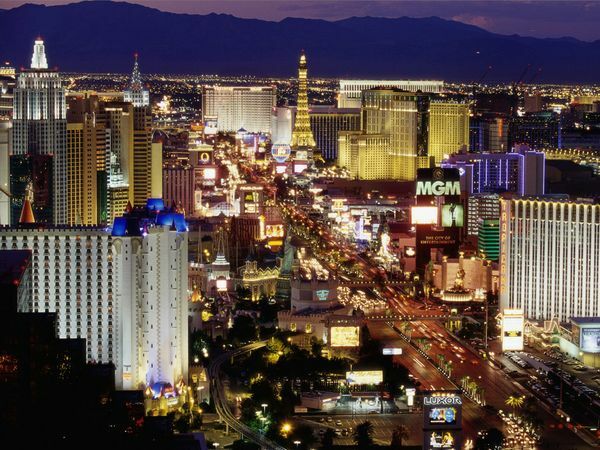 It’s easy to forget, with all the focus on the resorts and their casinos, that Vegas is packed with the best and most extravagant versions of everything from bars and restaurants to pools and spas. The same is true of shopping, and the Shops At Crystals – a gorgeous-looking complex attached to the relatively new ARIA resort – is particularly impressive. The array of shops there is a little bit high-end, of course, but even just for browsing it looks like one of the city’s more interesting attractions. I know, I know, it’s the most touristy thing you could possibly look forward to in Las Vegas (and that’s saying something). But even if you weren’t interested in the Bellagio fountain show simply from a tourism perspective, how can you not be charmed by that iconic scene toward the end of Ocean’s 11? You know, the one in which Brad Pitt and the gang stand and watch the fountains marveling at how cool they are before melting off into the night in their own directions? I’ll be honest – that scene is enough for me to want to do the same thing. Seven Magic Mountains is a large-scale public art installation located near Jean Dry Lake and Interstate 15, approximately ten miles south of Vegas. 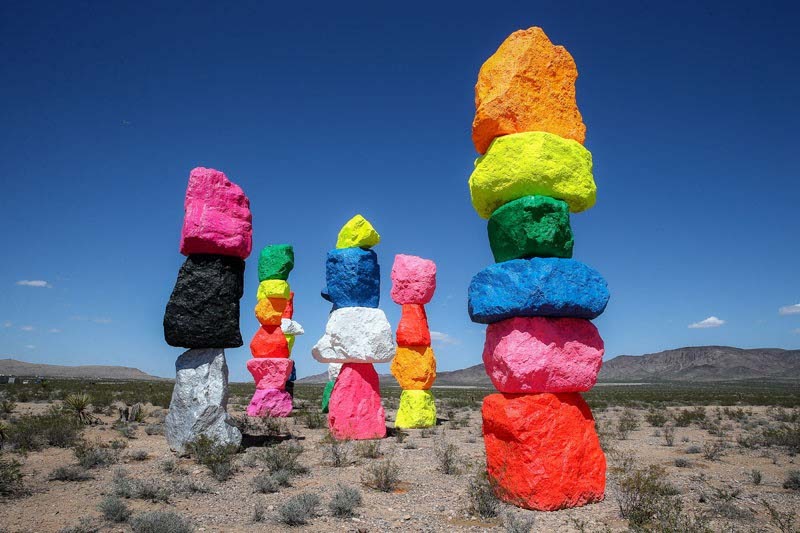 Comprised of seven towers of colorful, stacked boulders standing more than thirty feet high, Seven Magic Mountains is a creative expression of human presence in the desert. The exhibition opened May 11, 2016 and will be on view for two years so cross it off your Las Vegas bucket list before it’s gone. I’m actually of the camp that thought live casinos were more or less things of the past. I assume a lot of people just play alongside “real” dealers online, without ever leaving home or watch professional players on tv from a bar. I have to assume Vegas is Vegas for a reason, though, and the casino floors are unquestionably the main attractions. The MGM Grand’s casino floor sounds a little bit more accessible than some of the others, so it’s the one I’d aim to see (and perhaps play a few cheap games). 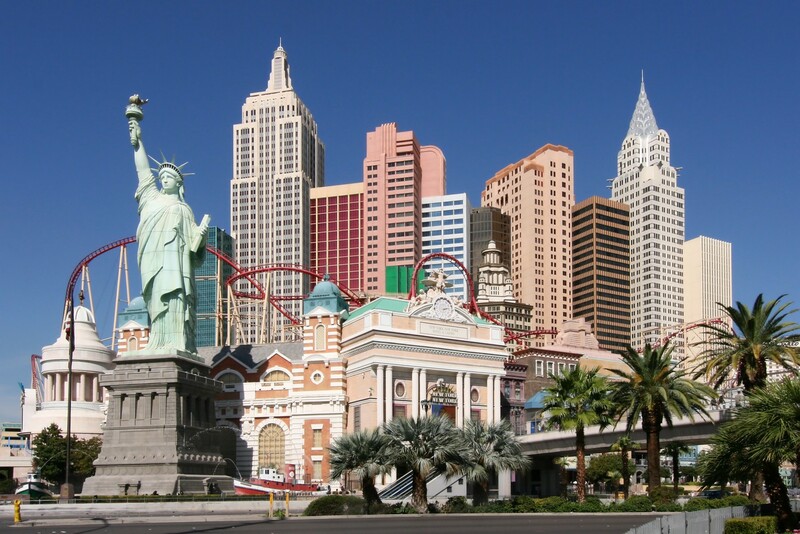 There is a casual, fun-filled way to do Las Vegas, focusing on unique meals, exciting resorts, daytime attractions, and bizarre shows, instead of looking at the club and casino scene, which is why I prioritized the roller coaster at New York, New York. It’s fun zipping through a towering city of skyscrapers and it gets your adrenaline pumping for the rest of your Las Vegas bucket list. If you actually look at Vegas’s best pools, you’ll find a lot of talk about pools that basically double as party venues. All of Vegas is a party to some extent, but for a family-geared vacation, or just for some fun relaxation, I’m drawn more to Mandalay Bay. The resort does have “club” style pool, but it’s also home to what amounts to a giant artificial beach (complete with wave pool). It just looks a little more innocent and fun. There are about a thousand restaurants in Las Vegas that sound good when you read up on them (only a slight exaggeration). But, if you’ve ever seen any of Gordon Ramsay’s cooking shows, you’re probably like me: dying to try some of his legendary beef wellington! Yes, Ramsay is a little bit off the wall, but he’s also one of the most successful and qualified chefs on the planet, and eating at his signature Vegas establishment sounds bucket list worthy. Have you ever stood in the window of a massively tall building and looked down only to worry about the horrific fall if something were to go wrong? The Stratosphere Las Vegas Hotel & Casino brings those nightmarish thoughts to reality and puts the Sky Jump on our Las Vegas bucket list. 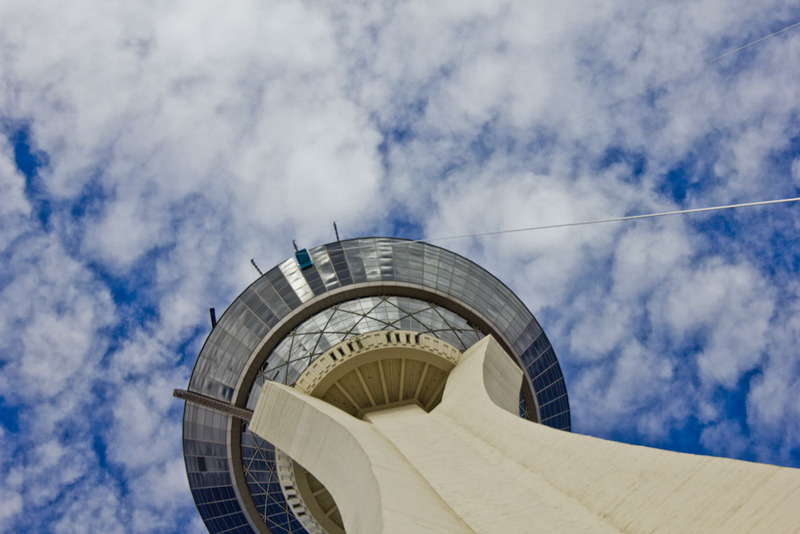 Atop the 1,149-foot-tall Stratosphere is a controlled free fall Sky Jump similar to base-jumping. What’s on your Las Vegas bucket list? Do you prefer the extremes like jumping off of buildings and riding roller coasters or more casual Vegas experiences like dining and relaxing at a pool? Whatever you tastes, you’re sure to find it in Vegas.